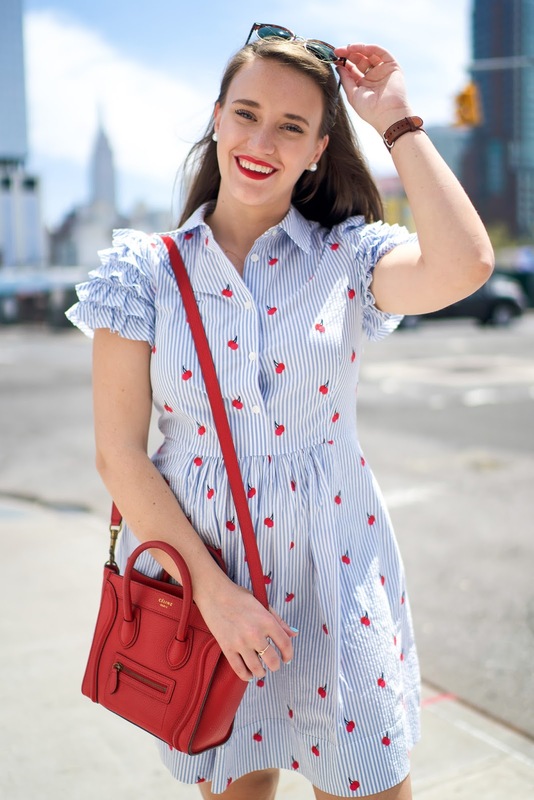 Brace yourself for the cutest dress EVER! 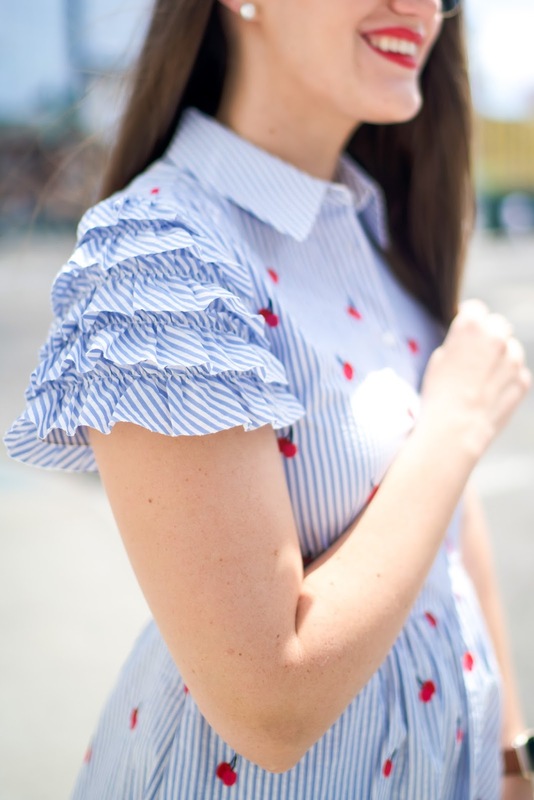 Ruffles and stripes and cherries -- oh my! As most of you should know, I went to school in Lexington, KY. When I heard they were getting their very own Draper James store I was over the moon! Lexington has the best boutiques and places to shop in the area. They all scream classy with a twist of southern charm and there is no doubt in my mind that the Draper James store will fit right in! I'm wearing it in my normal size six and it fits great! I love the little cherries on it but I really love how light and perfect it is for summer. I could not have asked for a better dress! There are a ton of really cute items at Draper James that would be perfect for any city or southern girl so be sure to check them out! Also in some really fun news, Draper James is now at Nordstrom! So exciting for the brand but really bad for my wallet hahah. 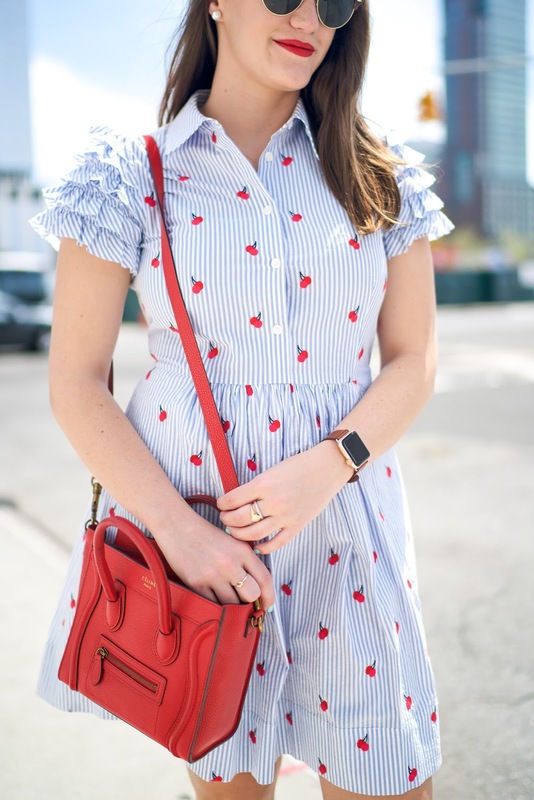 I just picked up this gingham dress and this white skirt!